Acclaimed Actor-Producer and National Award Winner, Sanjay Suri born and brought up in Srinagar (Kashmir), spent the first 20 beautiful years of his life in the Valley. Sanjay is credited with 30 features as an Actor and 7 features as a Producer. His filmography as an actor includes acclaimed films like FIRAAQ, PINJAR, DAMAN, FILHAAL, DHOOP and other trendsetting films such as JHANKAAR BEATS and MY BROTHER NIKHIL where he gained acclaim as an actor. Sanjay has been at the forefront of the current revolution of Independent Cinema in India. He independently starred and produced the path breaking film, “My Brother Nikhil” and also won the prestigious National Award (2011) for best Hindi language film as Producer for “I AM”. I AM is also one of India’s largest crowd sourced films with 400 co-producers from over 40 cities across the world. The filmmakers successfully democratized the film making process and are considered pioneers in Crowd Sourcing in India. I AM went on to win the NETPAC Award for Best in ASIAN CINEMA with a Special Jury Mention at the 15th International Film Festival of Kerala 2012. 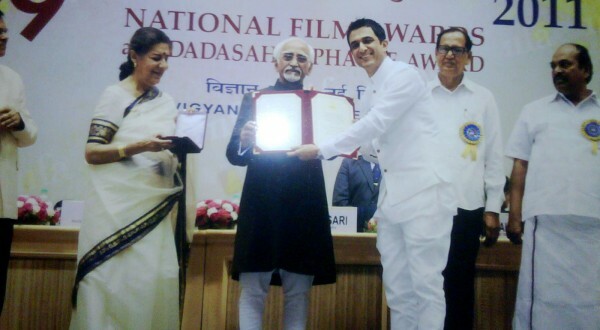 Sanjay also acted and produced the award winning “CHAURANGA (Four Colours)”, WINNER GRAND JURY PRIZE for BEST FEATURE AT IFFLA 2015, WINNER BEST FILM at the MUMBAI FILM FESTIVAL (INDIA GOLD) 2014, winner Incredible India Award as the best project at Film Bazaar 2011 & winner of the Goteborg International Script development fund, Officially Selected for Dubai International Film Festival (DIFF’2014), New York Indian Film Festival 2015, Goteborg International Film Festival 2016, Cinemasia Film Festival 2016 & London Asian Film Festival 2016. Chauranga was theatrically released in India. Sanjay has served as a Jury member at MAMI (Mumbai Academy of Moving Images, 2012) & at the prestigious Dubai International Film Festival (2013) feature category in the ‘Muhr Arab’ Section. Besides his love for cinema, Sanjay loves sports, travelling, photography, philosophy, his cup of coffee & dark chocolate.